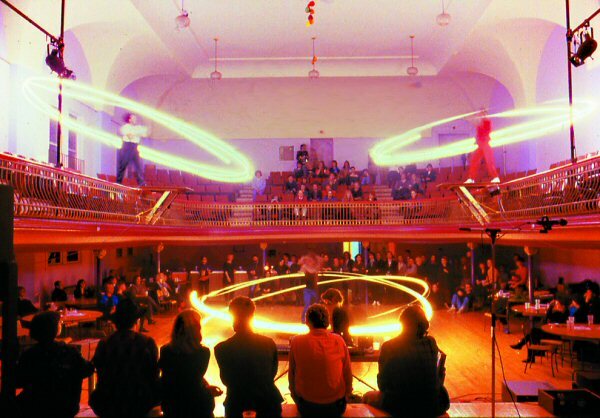 Performance Festival, Montreal Museum of Fine Arts. Photo: Glenn Lewis. Courtesy of Max Dean. Max Dean’s intense work ____. was performed in 1978 at the First Canadian Performance Festival. I am including it here not only as a precursor to the production of interactive electronic artworks, but also because it points to a collective response from our culture as we confront the ways that technological progress affects our environment, ourselves, and our relationships. Al Asnaam (1979) by Juan Geuer sits in a liminal space between science and art, which distinguishes it from the other Canadian electronic media artworks in this period. Geuer’s work is precedent-setting in its integration of principles of optics and geology and for the artist’s finesse in applying the formal aspects of the laboratory to his art production. Al Asnaam is part of the collection of the Ottawa Art Gallery and on permanent display in its own gallery. Interaction is always present there, between the work and the earth’s crust. This advance is indicative of the way artists were beginning to utilize interactive strategies in the late 1970s, building new knowledge by using the audience/machine interface. 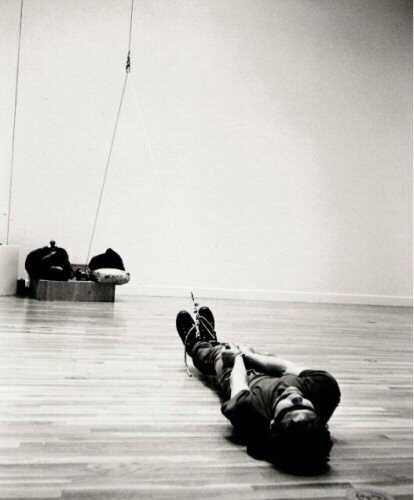 Where Geuer exploits the resonance in the earth’s crust, musician and artist Gordon Monahan exploits resonance within the human body, in his performance-based work Speaker Swinging (1981). Like Geuer, Monahan relies on the physics of the event, the Doppler effect resulting from the swinging of the speakers. Recalling early performances by John Cage, this work acts as evidence of the interdisciplinarity of early new media works, where music, science, and art would be brought together for spectacular performance-based works.